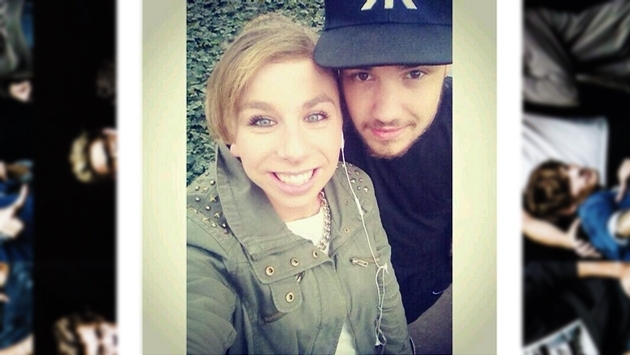 One Direction's Liam Payne always gives back to his fans! While he tried to slip under the radar when he landed in Los Angeles last week, the 20-year-old took time to pose with fans at Heathrow Airport in London, England on March 11. Maybe it had something to do with the fact that these fans waited in the blustery cold for the "Story Of My Life" hitmaker, or it just could be that Liam is a nice guy. Either way, it was a good day for these lucky fans. Liam smiled and posed for a series of photos, before he drove off in his waiting car. The hunky pop star's grin may also be due to the fact that Liam is reportedly one of the highest paid members of the group. Liam and Louis Tomlinson are said to be wealthier than their bandmates because they co-wrote almost half the songs on One Direction's latest album "Midnight Memories." Songwriters can earn around nine percent of each track's royalties, according to Daily Mail. "Louis and I have a little partnership going on. We've been pretty keen to start writing straight away. I've been in the studio already, it's been going really well. Learning how to write is the best way of ensuring your career has longevity and that you have control over it," Liam told The Sun. What do you think of Liam's airport generosity? Has a celebrity ever stopped to take a photo with you? Tell us about it!